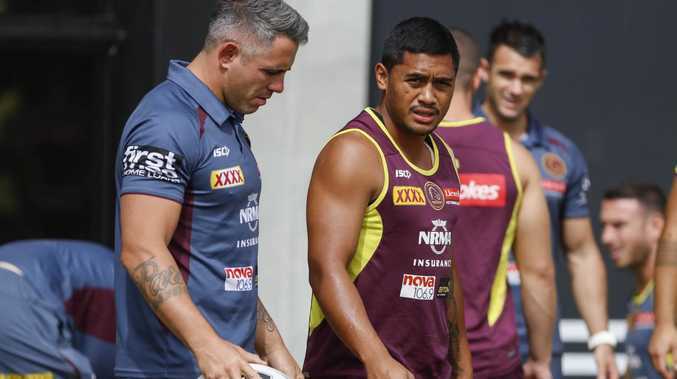 FORMER Broncos skipper Corey Parker has returned to Red Hill, as Brisbane's pack fire up for a season of fresh challenges in 2019. Parker, who was part of Wayne Bennett's coaching staff last year, has been brought back on board by new coach Anthony Seibold for the season ahead in a mentoring role. The former Queensland and Australian forward will work with the Brisbane pack one day a week, while Justin Hodges and Scott Prince will mentor the backs and halves. Parker's return comes after he had to step back from his coaching role under Bennett last year due to family commitments. 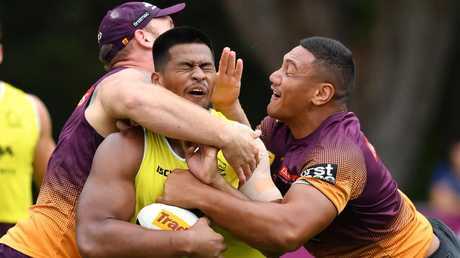 He said however the scaled-back role will suit him well in 2019, in what is a crucial season for Brisbane's young forwards. With Sam Thaiday (retirement), Josh McGuire (Cowboys) and Korbin Sims (Dragons) gone, Alex Glenn and Matt Gillett remain as the most senior forwards at the club, with the likes of Matt Lodge, Tevita Pangai Jr, Joe Ofahengaue, David Fifita and Payne Haas all 23 and under. Parker said the key for the talented pack this year is to find consistency. "Talent's never been an issue for Brisbane," Parker said. "They've always had talent regardless of what year. "Seibs has spoken openly about our best performance compared to our worse performance and finding a medium. 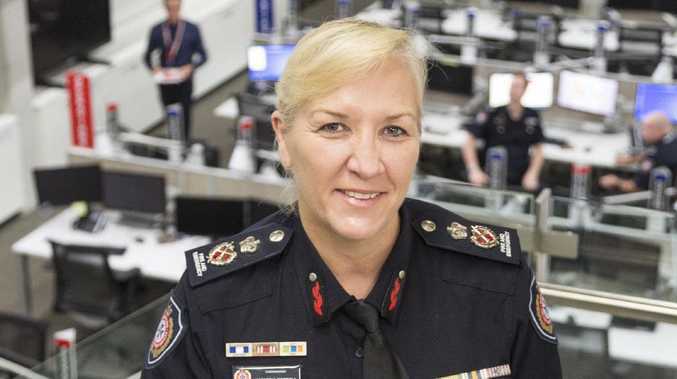 "In 2018, when they played at their best, Brisbane were one of the best teams in the whole competition. But when they played at their worst, they were one of the worst teams. "If you can find common ground to create consistency you can create success. "The pack as a whole is still quite young. They've lost Sam Thaiday, Josh McGuire … there's some big challenges ahead. "Everyone got a taste of the likes of David Fifita and Payne Haas last year. But if you scale it all back, Fifita played 11 games and Haas played 36 minutes. "We are still yet to see what they have to offer. Even Jaydn Su'A, Kotoni Staggs … these guys rose to the challenge that was set last year but the challenge now lies in that consistency, which is what Seibs is pushing really hard on. "Everyone's pulling in the one direction for that one common goal." Parker, who will attend The Courier-Mail's 2019 NRL Season Launch Lunch through his role as a Fox League commentator, said he was looking forward to playing a part in guiding the forwards through the season ahead. While his work with Fox League will continue to be his biggest focus in 2019, Parker said he did hope to develop a career in coaching. "The role itself is very much different to what it was last year," he said of his mentoring job. "There's a whole new coaching department there that Seibs has brought through. He has his own outlook … I'm very appreciative to work under him and his team. "Coaching is certainly something that is very satisfying and something I want to pursue. "It's very minimal but it's great to be back."